They say that Kokopelli never takes the same form twice. 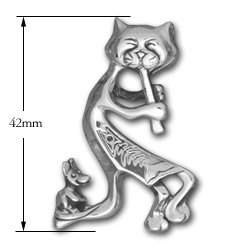 That's certainly obvious here, as the rascal Kokopelli has assumed the look of a feline pied piper. 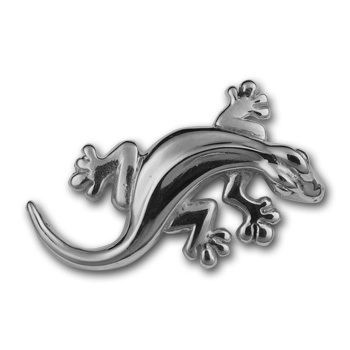 A solid piece cast in sterling silver, he’s totally complete with a fish on his belly and a mouse on his tail. 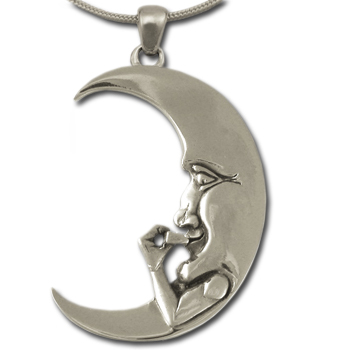 This well-crafted piece will delight you with its great detail and sense of humor! Chain slides through hidden pendant bale behind the head.